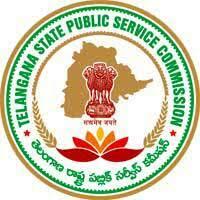 TSPSC Group 1 Recruitment Notification 2019 Information is disclosed in this post. For 137 Revenue department Deputy collector, DSP, Commercial tax officers, District Registrars, Municipal commissioners ( Grade 2 ), SC development officers, BC development officers, District employment officer, Administrative Officer, Assistant Treasurer, Assistant audit officer, Mandal Parishad development officer, Cooperative society deputy registrar Posts, applications are invited by the officials. Well, the Starting Date and Closing Date will be informed to the candidates very soon. We must say this is a good chance for the contenders, who are looking for Government Jobs. Now, after checking the total details, interested candidates, can go ahead and submit the online application form by visiting the official site of the Telangana State Public Service Commission. Well, we are informing the details about the upcoming Telangana State Public Service Commission Group I Recruitment 2019. Interested Candidates, from the Telangana State, who are looking for the Government Jobs, can check out the total we are providing in this post. And then soon after the Telangana PSC Officials releases the Starting Date, Closing Date, contenders, can go ahead and submit the application form. Here in this section, we are providing a table. And that table consists of information such as the Name of the Post, Name of the Organization, Number of positions available along with the Selection Process, Job location and all. Candidates, have to complete their Graduation or Degree from any Recognized Institute or University in India, as the Educational Qualification. Our team from Freshersnow.com, hope the total information we included about TSPSC Group I Recruitment Notification 2019 is helpful.